The Inground 1-11 is a flush fitting canister mount, 240 volt inground up lighter designed to suit the AR1-11 lamp, making it ideal for uplighting large trees, columns and buildings, etc. Having no protruding parts, it is also ideal for driveway lighting, path lighting and also in hotels or building foyers. Designed so the lamp can be directed up to 20 degrees, without the need to remove the fitting from the canister, and having a the three vandal-resistant Allen-head screw fixing system that attach the flange to the body of the luminaire, this is a invaluable luminaire for any exterior lighting project. 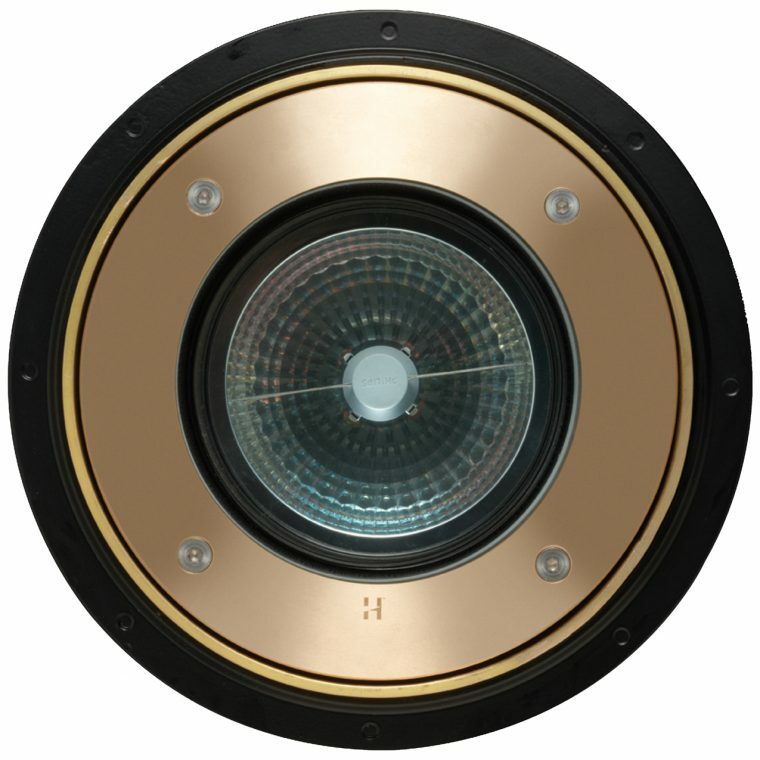 The Inground 1-11 is suitable for use with 50, 75 and 100 watt lamps which have a range of beam angles from 4 to 45 degrees and is supplied with a high quality 65 watt IRC (equivalent output as a standard 100 watt) European 3000 hour lamp. It also come complete with its own dimmable 240 volt a.c integral transformer and thermal overload and has a “Flush Fit” lens which stops water pooling and depositing dirt and a mounting canister that facilitates ease of installation.